Home / Licensed Merchandise / Own Your Very Own NECA Glow In The Dark Hock This Week! Own Your Very Own NECA Glow In The Dark Hock This Week! 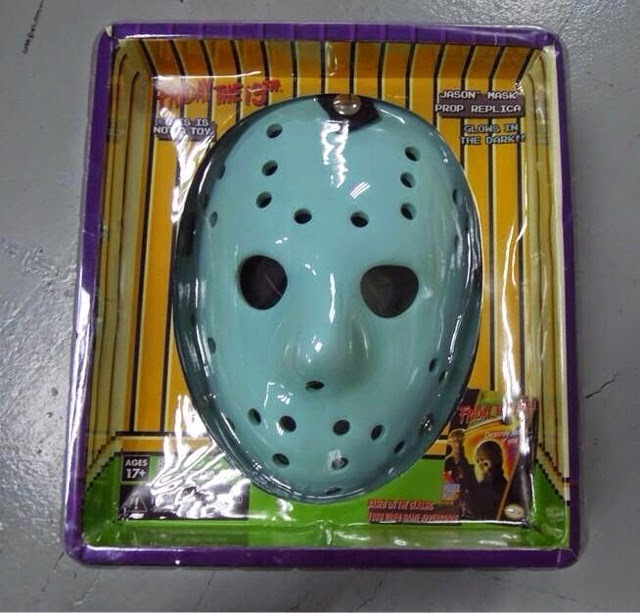 With NECA's success of the retro Nintendo Jason Voorhees figure in 2013, it seemed like a natural progression to release a full size hockey mask to commemorate the game as well. The glow in the dark mask along with the unique packaging capture the essence of the 1989 video game, and now fans will have a chance to own this commemorative item. NECA confirmed the mask in late August and now they have announced the mask is shipping to retailers this week, just in time for some last minute Christmas gifts. Go out and grab your masks this week and post an image of your masks in the comment section below! His name was Jason… and this was his mask. Or at least it was in the classic Friday the 13th video game! This full-size, wearable replica of Jason’s mask is based on the 1989 “so-bad-it’s-good” 8-bit game. The hand-painted reproduction features elastic harness straps that allow you to wear it or hang on the wall — and true to the video game original, it glows in the dark! As a bonus, the mask comes in unique, game-inspired packaging.